Well here I am; on a Friday night, doing something I never thought I'd do in Singapore. 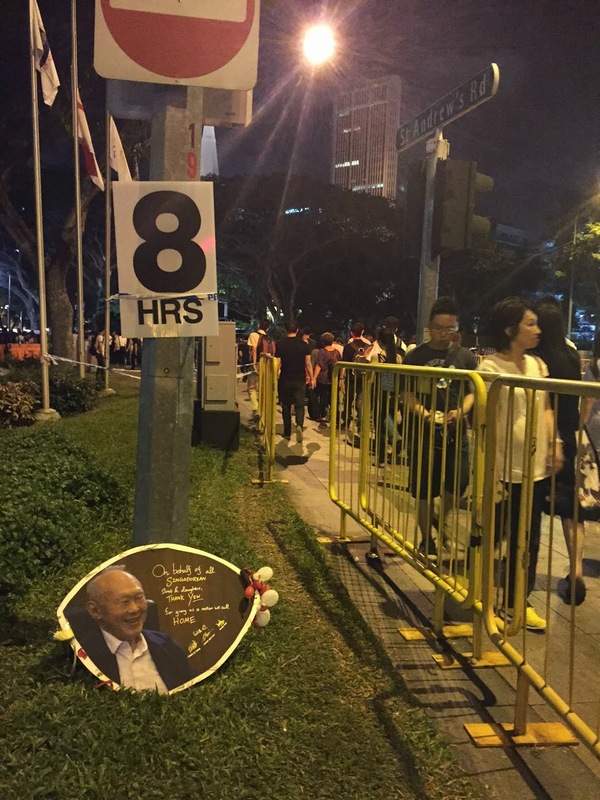 I'm 1 hour and 10 minutes into the long long queue to pay respects to Mr Lee Kuan Yew. I swear we're the only 2 foreigners in the queue. I must say it is easy to speculate on the outside as to why people would queue for this long. Is it Kiasu? (not wanting to miss out) Is it Kaypoh perhaps? (nosey) Yet here I am; sitting amongst my adopted family of Singaporeans (whom I've never met), we've all just reached the first set of tents in the queue, and we're all sitting here on the grass of the Padang waiting to move on. I look around. I see only patience on people's faces, no one is making a fuss that they have to sit on the grass. I hear no murmurings of complaints that we have to wait so long. Everyone is waiting in an orderly fashion. It's actually pleasant sitting here on a mildly warm night, outside with my local "buddies". The NS lads are well organised. Carefully moving the crowd forward in segments; just like a platoon, to ensure clusters of people are spaced out well enough. We are comfortable and this makes the wait very bearable. We're all organised into clusters; far enough that when we do finally get up and move, it is a decent amount of distance to allow us to stretch our legs. Ladies and Gentlemen; this is Singapore, and things are done deliberately and planned. This was a demonstration of precision. Volunteers also float amongst the crowd giving out water and packets of little snacks. There are apples, sandwiches, crackers, biscuits and sweet potatoes. We're being looked after. Remember the fine for littering? All taken care of; other volunteers wander around with big rubbish bags asking if you want to throw anything away. The waiting area is clean, we're comfortable, it is all well planned. An hour and a half in; I'm guilty as charged, the people waiting in queue aren't kiasu or kaypoh at all. I thought they were. I can feel it amongst my adopted group in this queue; they're waiting because they want to. They're waiting to pay homage to a man they respect. Some carry flowers; they love Mr Lee Kuan Yew. It was indeed a long wait; though, many of us had slept or napped on the grassy piece of land at the Padang before we got moving again. I never thought I would sleep here at all but all around me people have; waiting patiently, lying on torn up cardboard boxes that have now become make shift beds for the night. After 8 hours and 42 minutes; we had finally braved the Padang waiting area, followed the slow long queues and finally we were entering the Parliament building. Instantly people fell silent, those that didn't were quickly told to be quiet with a quick "shush!" from the rest of the group. No instruction was needed; we all filed in, a single queue. This was it, the coffin was in front of us. The scene straight out of the news coverage we've all seen. Mr Lee Kuan Yew's photograph came into view; the one at the foot of the coffin. It struck me in that instance, just how much he had done for my adopted home. The lines of age showed on his face in the photograph, but they also marked the time, effort and hard work he had put in over the course of his life. The photograph captured it all in that regard; the face of a man who had given so much to a place he loved. As I came up towards the coffin; the sadness washed over me. I didn't know Mr Lee Kuan Yew; definitely not as much as I should, but his contributions to Singapore cannot be ignored. I bowed in respect, I bowed in thanks and I bowed in remembrance. Singapore woke up to the news that Singapore's first Prime Minister and founding father Mr Lee Kuan Yew passed away at Singapore General Hospital (SGH) this morning (March 23) at 3.18am, at the age of 91. 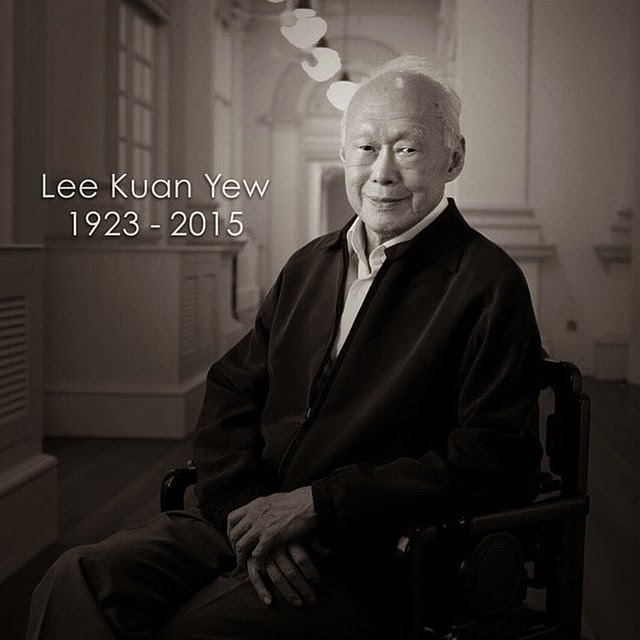 The public can express their condolences and share their memories of the late Mr Lee at the official website, http://www.rememberingleekuanyew.sg. The public can call the 24-hour hotline at 6336 1166 with queries, or visit http://www.rememberingleekuanyew.sg and http://www.facebook.com/rememberingleekuanyew for more details. 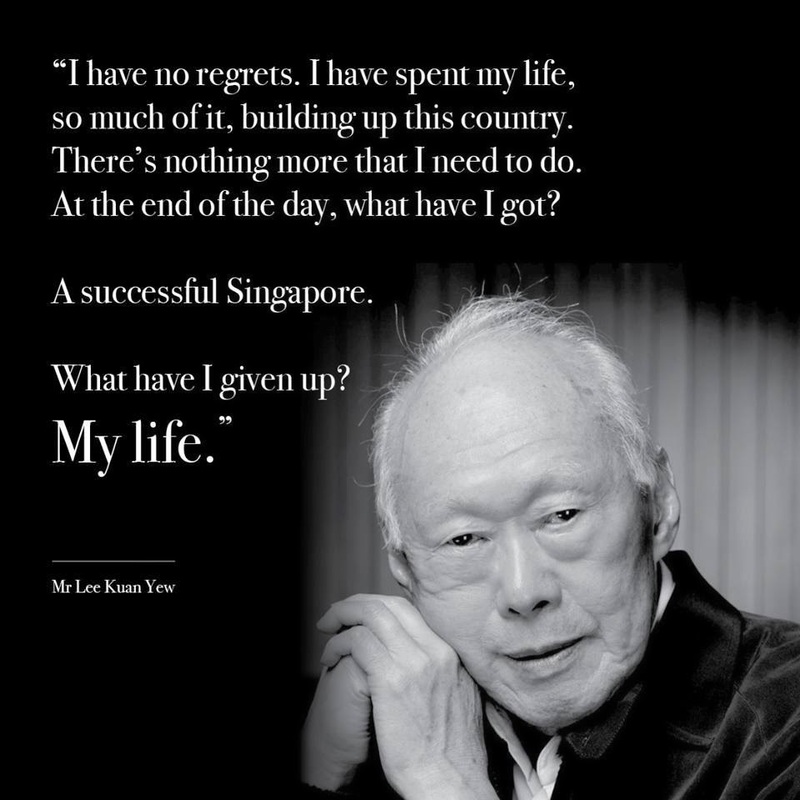 The Straits Times have also set up a website dedicated to the memory of Lee Kuan Yew, and includes facts, figures and more quotes from a great man. Kia Ora! 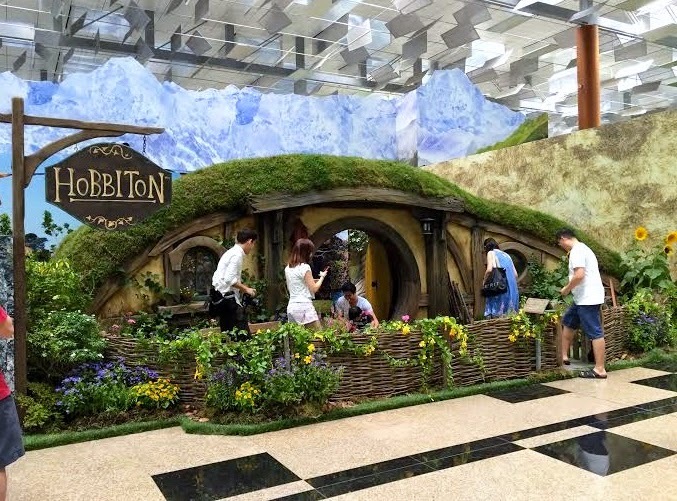 Tourism New Zealand together with Changi Airport have brought a slice of Middle-Earth to Singapore for a display that showcases and celebrates all things New Zealand. The event was officially opened by H.E Bernadette Cavanagh (New Zealand High Commissioner), together with Russell Alexander, owner and general manager of Hobbiton, Mr Lim Ching Kiat, Senior Vice President, Market Development of Changi Airport Group Steven Dixon, Tourism New Zealand’s Regional Manager of South and South-east Asia at the departure hall of Changi Airport Terminal 3. This campaign showcases what New Zealand has to offer and includes a life-sized Hobbit Hole, the props and the timber were all brought in from New Zealand. All the flowers you see around the Hobbit Hole have been grown especially (which are watered and changed as needed) to re-create the feeling that you're in The Shire. This very same Hobbit Hole had previously been in London for the world premiere of the last instalment of The Hobbit Trilogy. This is the second time this set has been outside of New Zealand. To see a timelapse video of how the Hobbit Hole was constructed, click here. This year is significant for New Zealand and Singapore as the two nations commemorate 50 years of diplomatic relations and the return of Air New Zealand to the direct route. Cycling, Kayaking, Cricket . . what do you fancy? An autographed All Blacks rugby ball. 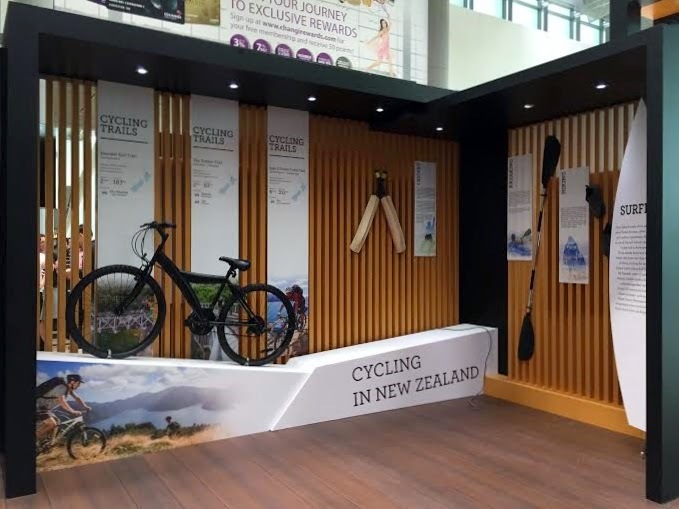 The ‘Naturally New Zealand’ event is open from 12 noon to 11pm daily from 14 March to 5 April 2015, at Changi Airport Terminal 3 (Departure area) - Row 11. To read more about Naturally New Zealand competitions and travel deals, click here. GIVEAWAY for your next BBQ! Stoke are bringing gourmet BBQ parcels filled with artisanal meats and appetisers, and delivering right to your doorstep! Treat your taste buds to 100% authentic acorn-fed Spanish Pork Iberico, award-winning organic British 96% pork sausages, organic beef & lamb, and much more. 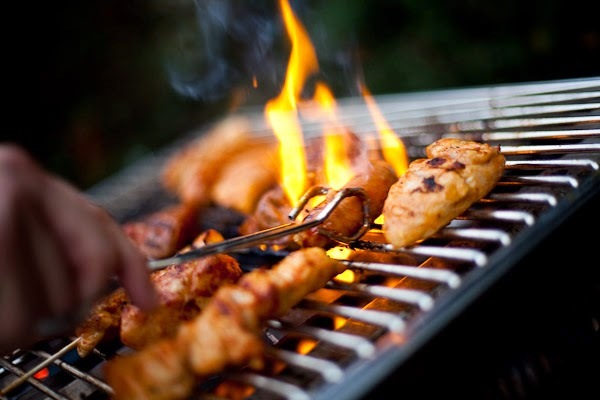 Alternatively, you may choose to invite your friends to Stoke’s first gastronomic BBQ party where you can enjoy a five-course dinner of Stoke’s freshly grilled specialties from around the world. The runner up will also receive 3 months’ supply of Stoke’s Basic BBQ parcel (valued at S$540) or 4 seats at Stoke’s “Farm to Table Culinary Adventure” BBQ party. That’s not all. If you pre-order your BBQ parcel today, you will get 10% off you next order, by quoting code "EKW888"
*Please note Terms & Conditions apply. See competition page for full details. We were invited to O'nya Sayang to sample some of their Peranakan dishes at a brand new Restaurant at Payar Lebar Square. When we say new; it's extremely new, having only been open for about a month or so now. The look and feel of the Restaurant was inviting and unpretentious; it was clean and pleasantly decorated with good lighting. The good lighting is a blessing for those that like to post to Instagram or love to blog :) No one likes dark and grainy food photos right? We received a very warm welcome by Mr Zan Ho; the owner of O'nya Sayang, who was quick to offer a smile and have a chat. We felt welcomed straight away and could tell that he was just as excited as we were to be there. He was very passionate about the dishes that he was going to serve us. We found out he did indeed have a lot to be proud of as the recipes were passed through the family by his Grandmother. There is a true emphasis on home style cooking and today they're still overseen by Mr Zan's Grandmother so that they remain true to tradition. This was great to hear and we were really looking forward to the tasting now. So without further delay, let us dig into the tasty goodies that we had. The first dish was the Ayam Buah Keluak Fried Rice served with Crackers, Achai and Sambal Belacan. The Fried Rice was well seasoned with the sweetness of the fried Onions coming through. Lovers of spice can also rejoice as the fried Chillies added a hint of spiciness to the dish to round out the flavours. The Buah Keluak had Chicken in it and was surrounded by the characteristic dark gravy of the Buah Keluak seed. This is an acquired taste as the Buah Keluak seed does have a strong taste which we would describe as being Mushroom like with a smokiness to it. It is rich in flavour though and has oils that get released into the sauce whilst it is cooking. This really added to the dish and we enjoyed spooning the sauce over some steamed Rice. It was very tasty and the Chicken added more texture to the dish allowing diners to try the rich smoky flavour with the meat. The Crackers and Achai were great little side dishes and the Sambal Belacan was there for those that wanted a little bit more of a hit. The Sambal wasn't too hot, but we felt a bigger hit with more Chilli would've been good. We're fans of Spice! When the Assam Seafood arrived it was a wonderful sight to behold. It was a stunning Orange as it had been cooked on a hot plate with homemade Rempah. Mr Zan spoke of this dish with pride as it has more than 15 ingredients incorporated into the dish and takes a whole day to prepare. It was a generous serving of Fish, Prawns and Squid. The taste really does whet one's appetite as it has an interesting layer of flavours. When you first taste it, it starts off with a hint of being sour then it changes quickly into a nice sweetness and finally a hint of spice. And for Seafood lovers, the surprises continued with some Assam Fish. The pot was kept hot by a flame underneath so that the lovely Red and Orange Sauce would simmer gently when it was being served. There was a very fresh Fish tail in the dish and some Prawns that gave a pleasant sweetness to the overall dish. There was also a serving of steamed Rice, topped off with a fried Egg. Who doesn't love a good fried Egg :) The side was some Chap Chye; a mixed vegetable dish with Cabbage, Mushrooms, Black Fungus and Glass Noodles. We don't order Soup often when we're out for a meal so it was very pleasing to see a Soup being served. We were served Bakwan Kepeting Soup which was a clear Soup served with some Vegetables. The highlight in the Soup were the Meatballs; a wonderful combination of Crab and Pork Meat, which were huge and a real treat for meat lovers. The Crab Meat gave a very natural fresh sweetness to the Meatball that also flavoured the Soup. It was a very warming and comforting Soup and it was good having it part way through the tasting as it made for a nice pause to digest and prepare for the next round. Now for those who are a big fan of Pork dishes; don't fret, O'nya Sayang has some on their menu and we got to try 2 of them. The first was Lor Bak which is Pork braised in a dark Soy Sauce. It really was a rich dark brown colour which again reminded us that it is perfect with fluffy white Rice with loads of the sauce spooned on top. There was also hard boiled Eggs as well for a bit of different texture. The interesting thing was that this dish wasn't served with Rice, but came with La Mian Noodles. This isn't the norm but is designed to appeal to a younger crowd and entice them to try the goodness of Peranakan cuisine. The Egg Noodles were very fresh and had a nice "bounce" and texture to them. We didn't want overcooked Noodles in a dish with great sauce and this Lor Bak delivered. The sauce had a hint of sweetness to it that made it appetising. The Pork itself was tender and had enough fat to make it very addictive. The fat had also absorbed the lovely taste of the sauce :) The Lor Bak came with a side serving of Otak; a kind of flat cake made from spicy fish paste, and then wrapped and grilled in Banana leaves. The Otak was seasoned nicely and had a subtle hint of spice so that it wasn't too hot.A small side of spicy stir fried veges also accompanied the dish. The next Pork dish was Babi Pongteh. Straight away we noticed the Potatoes in the dish; only because we love Potatoes! The Pork dish was once again braised but this time in a light Soy Bean paste that is made into a thick sauce. We were told that the Soy Bean paste was imported from Melaka hence it was less salty but extra fragrant. The sauce was perfect with white Rice and one just couldn't help heaping the sauce onto the Rice and enjoying the wonderful flavours. It was indeed fragrant and the Pork had the right amount of fattiness and was tender and juicy. The Pork dishes at O'nya Sayang are superb. By now we had already consumed a lot of delicious food; but as the saying goes, there is ALWAYS room for dessert. In a way O'nya Sayang had saved the best for last, desserts are a real treat here. For those who are into warm desserts there is the Bubur Cha Cha, an assortment of cut up sweet Potato and Yam pieces in a coconut based soup. It's a really colourful dessert and is comforting. If you're a coconut milk fan then you'll enjoy this. Soup based desserts aren't for everybody though but this is worth a try and some might find the boiled sweet potato and yam bland if it wasn't for the soup. Next up is the Chendol; a classic that can be found in Hawker Centres around Singapore. At O'nya Sayang, there is a fantastic twist on this classic. Instead of the shaved ice; the ice is replaced with a wonderful Coconut Ice Cream, sourced from Thailand. The Ice Cream really is amazing and you can tell that the team is very pleased with their sourcing skills to find such a quality scoop. The Ice Cream goes so well with the Pandan Jelly and the Beans; and when it has melted into a kind of Ice Cream soup, it is oh so good. It is also topped off with some wonderful Gula Melaka so you have a nice golden brown syrup running through it. 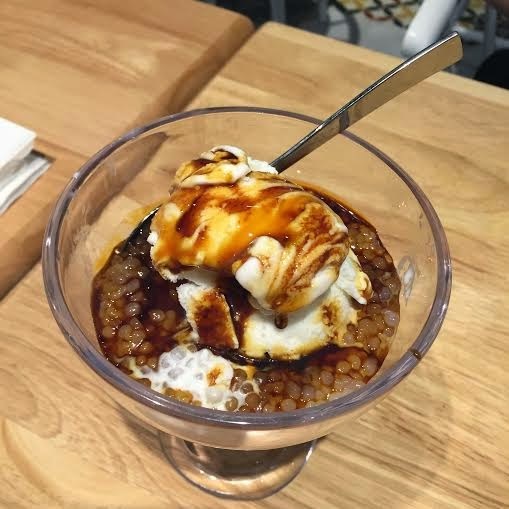 The last dessert was the Gula Melaka Sago pudding. This dessert should definitely have a strong following. The Sago gives a nice chewy jelly texture to it and it is once again in a lovely coconut based soup. The soup is thicker this time so it is more like a rich refreshing coconut sauce. It wasn't too sweet because this is where the Gula Melaka comes in, with its characteristic golden brown syrup colour. It gives this dessert its distinctive taste and it was wonderful. A scoop of the brilliant coconut ice cream is also added to this to cut back some of the sweetness to the syrup. This worked very well but the combination of all the flavours in one glorious spoonful really is amazing. For those at the tasting, this was hands down the best dessert and is a must try. Save room for dessert! By now everyone was very full but the overall experience was great. The team at O'nya Sayang are really friendly and all the tables never had to wait long for their food to arrive. The dishes are prepared carefully at the restaurant and diners will be able to tell that there is pride behind the food as the passed down recipes are treated with respect. This certainly gives the food a home cooked feeling and is best enjoyed as a group. One can happily chill out, chat and enjoy this comfort food. For those looking for a bit more spice in some of the dishes, you won't find it here as it is served mild to let the quality of the sourced ingredients shine. The Pork dishes were a highlight for us, particularly with the yummy sauces that go with the rice. The right amount of fat really drove that great flavour home. The soup was also a favourite as it doesn't feature often in our meals so a good soup was most welcoming. Definitely don't forget to save room for dessert at O'nya Sayang. Diners won't be disappointed and it is made even more brilliant by the delicious scoop of coconut ice cream. 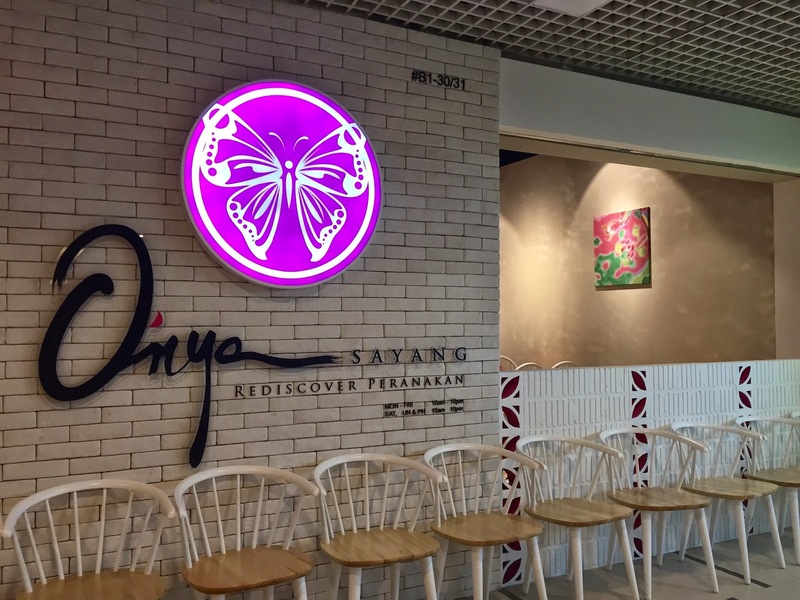 Check out O'nya Sayang if you enjoy Peranakan food; or even if you're new to it. It is in nice simple surroundings and is a chilled out evening location. Thank you to O'nya Sayang and Alicia Ali for the kind invitation. It was a pleasure to be part of your tasting session and you guys were very welcoming.